The most important event for analysts, portfolio managers and alternative data users interested in meeting the best alternative data providers! Data Buyer registration is open to hedge funds and buy-side professionals only. Why Choose Data Buyer Plus? Data Buyers can buy a Plus ticket and get curated meetings to help them meet with the most appropriate data providers and make the best use of their time at the event. Both Data Buyer and Data Buyer Plus registrants can access the scheduler and request meetings, but Plus Buyers will get additional help with their meetings. Data Buyer Ticket price increases to $1,995 after Oct. 15, 2018. If you have a discount code you may enter it on the next payment page by clicking the "enter promotional code" link. DISCLAIMER: THIS INFORMATION DOES NOT CONSTITUTE AN OFFER TO SELL OR A SOLICITATION TO BUY A SECURITY. 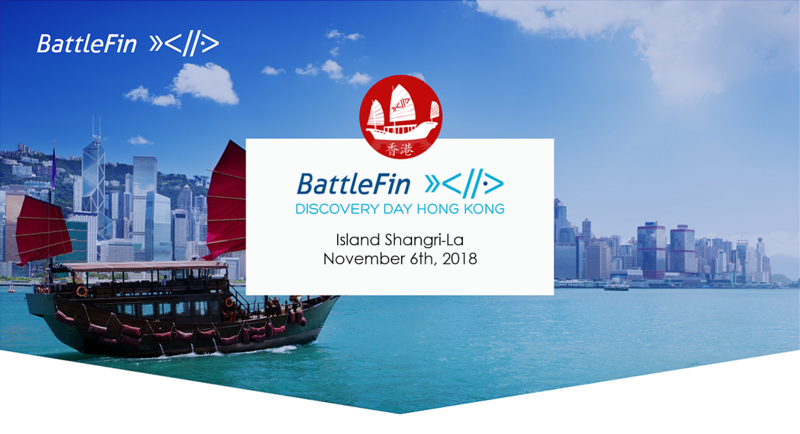 PARTICIPATION IN BATTLEFIN TOURNAMENTS, EVENTS OR STADIUM IS VOID WHERE PROHIBITED BY LAW. BATTLEFIN RESERVES THE RIGHT TO ACCEPT – OR DENY – A PROPOSED PARTICIPANT FOR ANY REASON IN ITS SOLE & ABSOLUTE DISCRETION. PARTICIPANTS MUST BE 18 YEARS OF AGE OR OLDER TO PARTICIPATE. PLEASE READ THE ADDITIONAL DISCLAIMER INFORMATION BY CLICKING Disclaimers & Privacy Rules.